MNSC dinner at the Principal with guest chef Tom Aikens, hosted by me. 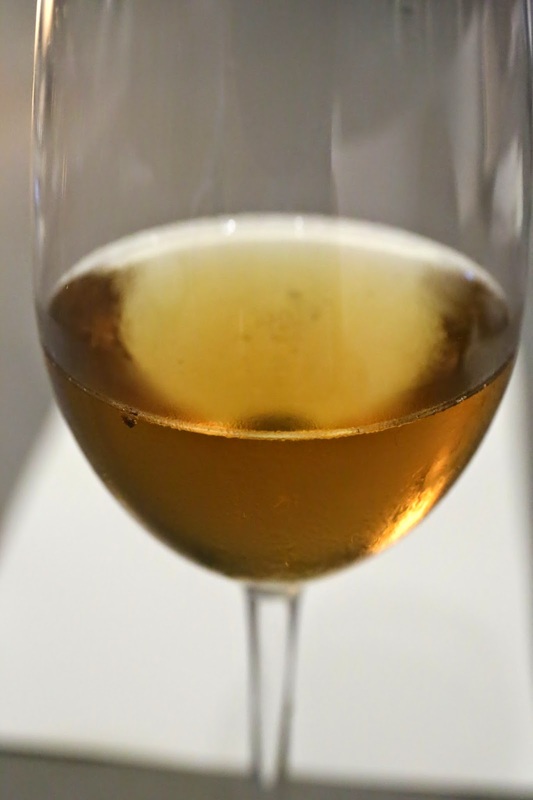 1970 Cuvée Dom Pérignon - really mature and caramelized, Chinese licorice (甘草), sugar cane and water chestnut water (竹蔗茅根水), orange marmalade, salty plum (話梅) notes. Slightly bitter and a little short. 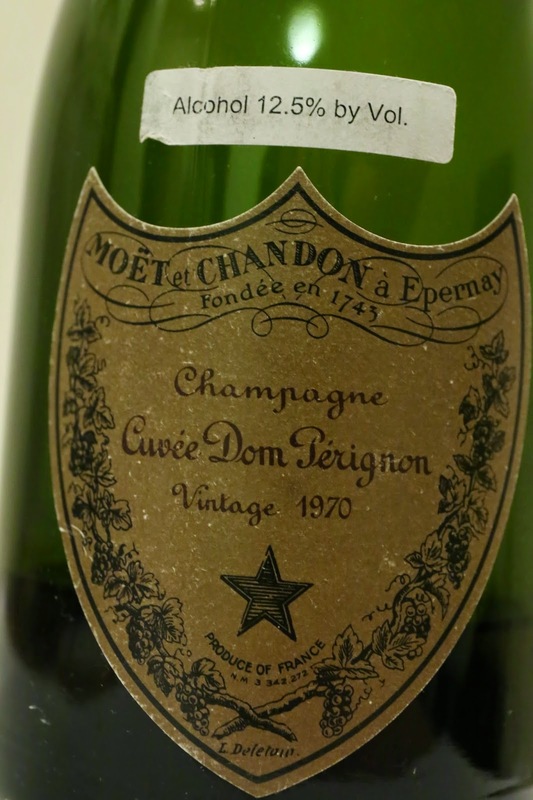 This Champagne was now showing a beautiful hue... after almost 44 years in bottle. 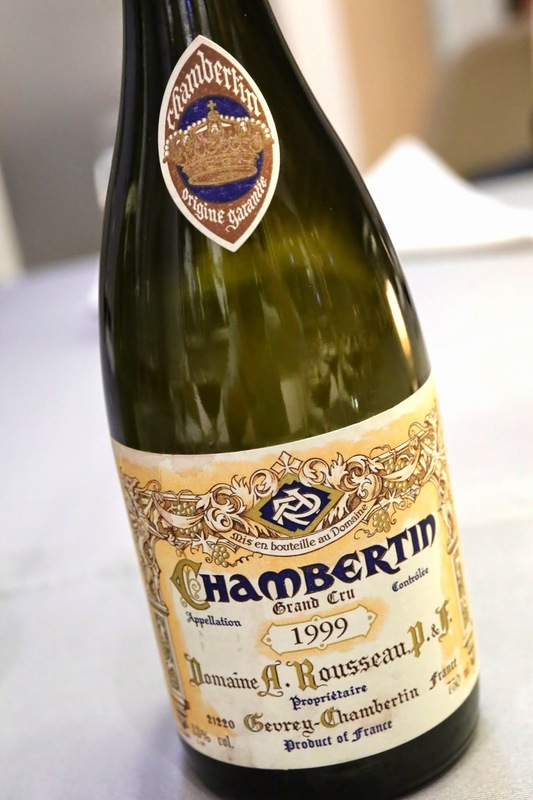 1999 Armand Rousseau Chambertin - heavy nose of toasty corn, sweet and ripe, with lots of black cherries. 95 points. 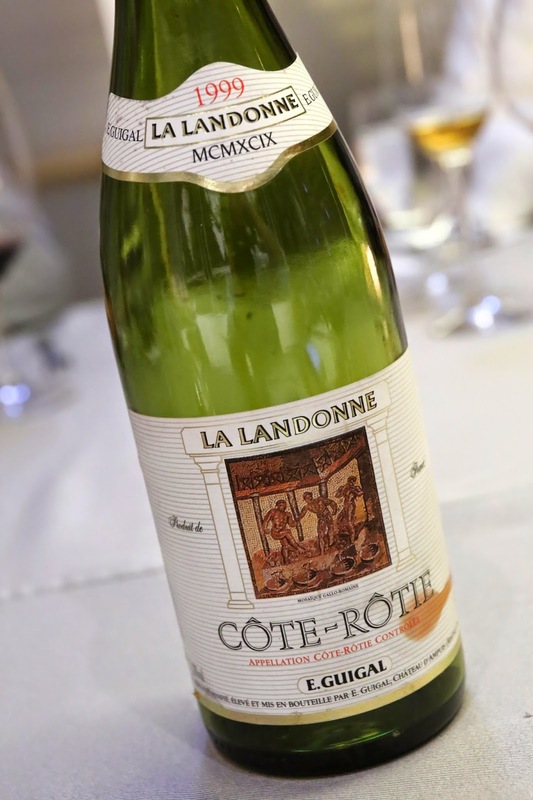 1999 Guigal La Landonne - very smoky, a little floral, some leather, with a hint of pencil lead. Very rich. 96 points. 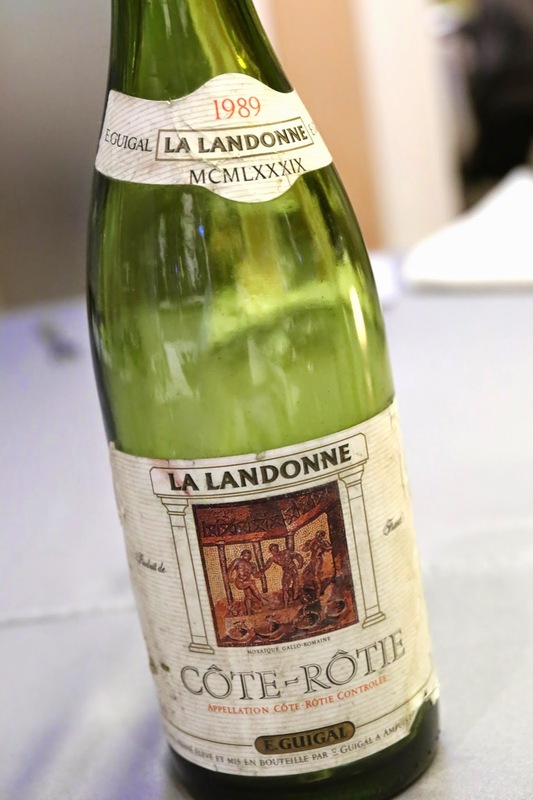 1989 Guigal La Landonne - very farmy with leather notes. Very lovely. 96 points. 1989 Henri Bonneau Réserve des Célestins - a little green a little smoky, a little savory. 95 points. 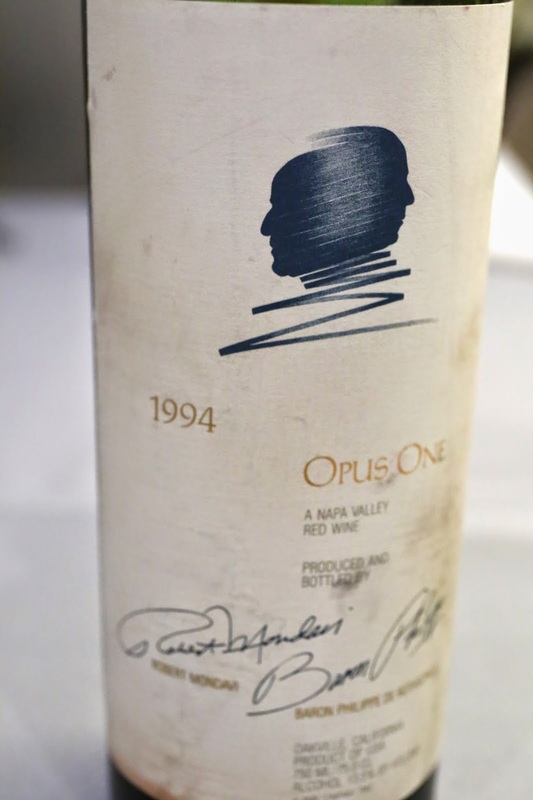 1994 Opus One - a little green and chalky, not much fruit left, lots of brett, and black pepper. 93 points. 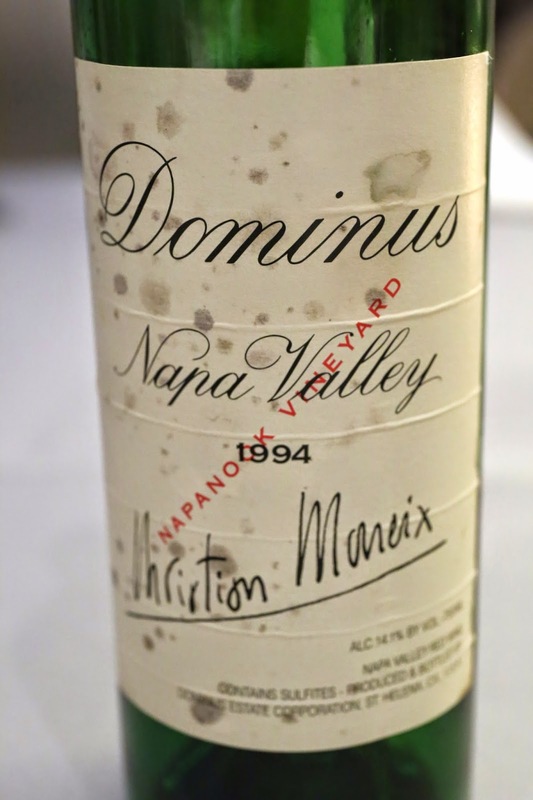 1994 Dominus - very chalky, smoky, minty. 93 points. 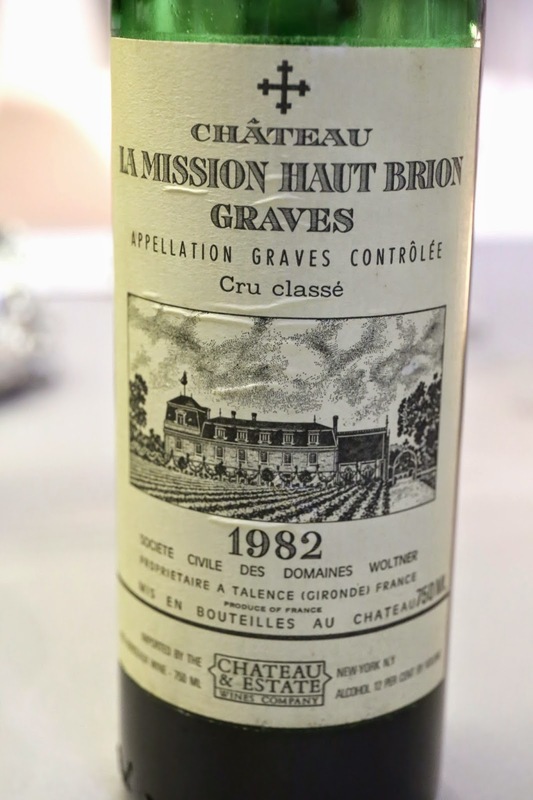 1982 La Mission Haut-Brion - smoky, a little chalky, a little black pepper. 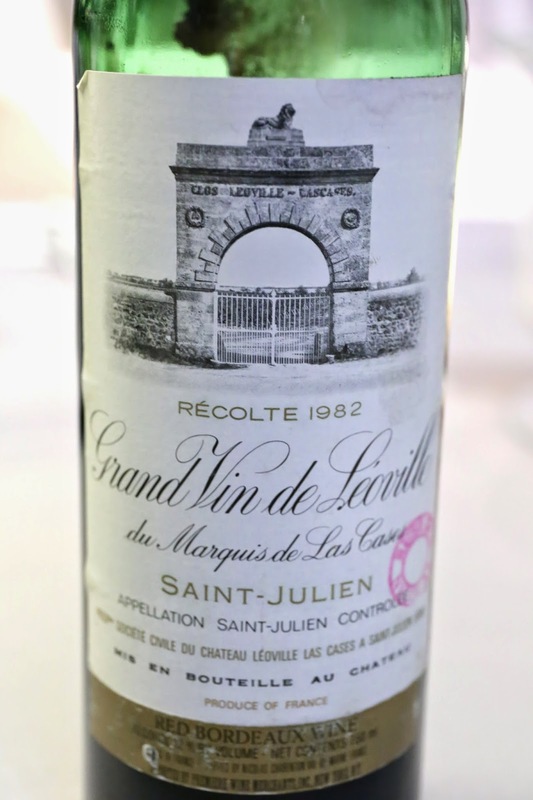 1982 Léoville-Las Cases - chalky, peppery, a little green, pencil lead. A little pungent. 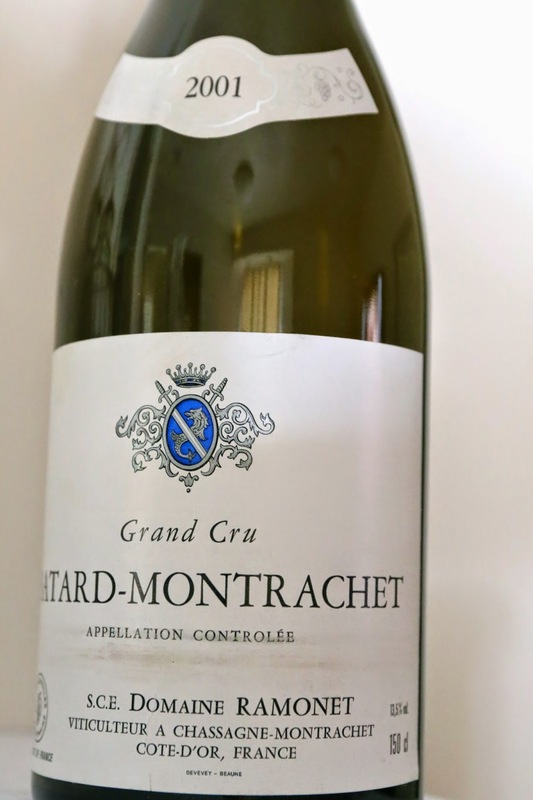 2001 Ramonet Bâtard-Montrachet en magnum - very toasty, lots of corn, and lemon citrus. After 2 hours, the sweetness was really nice. Drinking really well. 1997 Joseph Phelps Insignia from magnum - tons of smoke, minerals, grilled meats, cedar, and very fragrant. 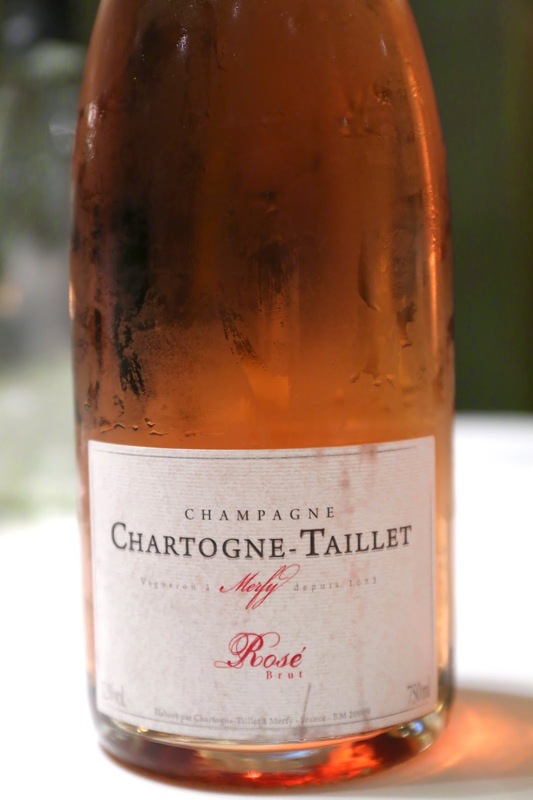 Chartogne-Taillet Rosé - very nice, a little caramelized, sweet, lots of fruit with very prominent raspberry notes. Almost a little pungent, possibly from sulfur. Just about my favorite wine of the evening. 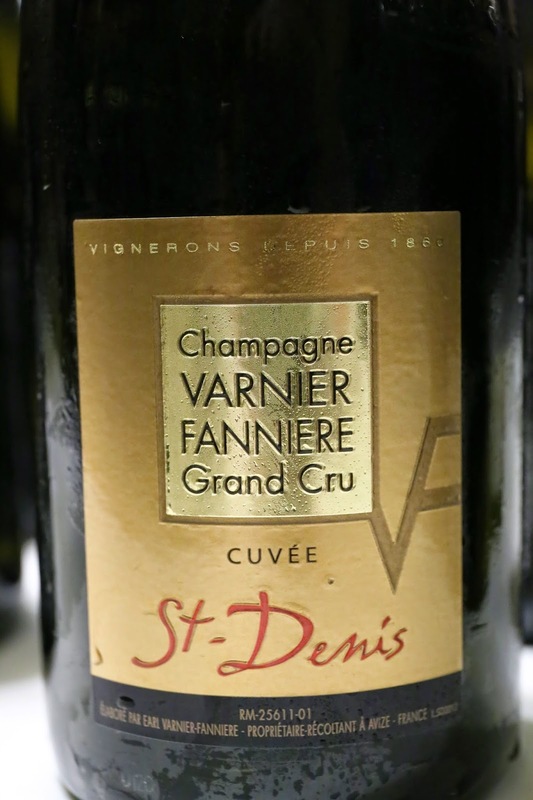 Varnier Fanniere Cuvée St-Denis Grand Cru - heady mousse, lots of bubbles, very vibrant. A little lean and boring, perhaps... Later on became a little oaky, with some minerality. Demarne-Frison Cuvée Lalore Brut Nature Blanc de Blancs - nose was a lot more caramelized, a little metallic, with honey and sweet grass notes. Bérêche et Fils Brut Réserve - nose was a little sharp. More acidity here, with lemon notes. Starting to show a little age and oxidation. Moët et Chandon Brut Impérial - lots of bubbles. Very familiar. 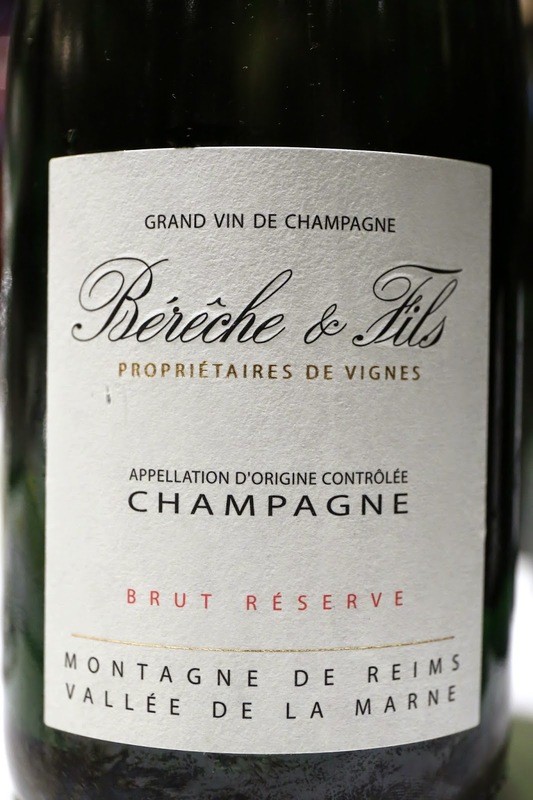 Emmanuel Brochet Le Mont Benoit Extra Brut - nose showed a little plastic? Definitely very caramelized and marshmallows, a little metallic and mineral, with a hint of coconut butter. A blend of 2008 and 2009. 2006 Benoît Lahaye Grand Cru - more complex, showing even more ripe and caramel, with more pungent sulfur. This was poured into a decanter and vigorously swirled for a few minutes before serving, in order to soften it up a little. 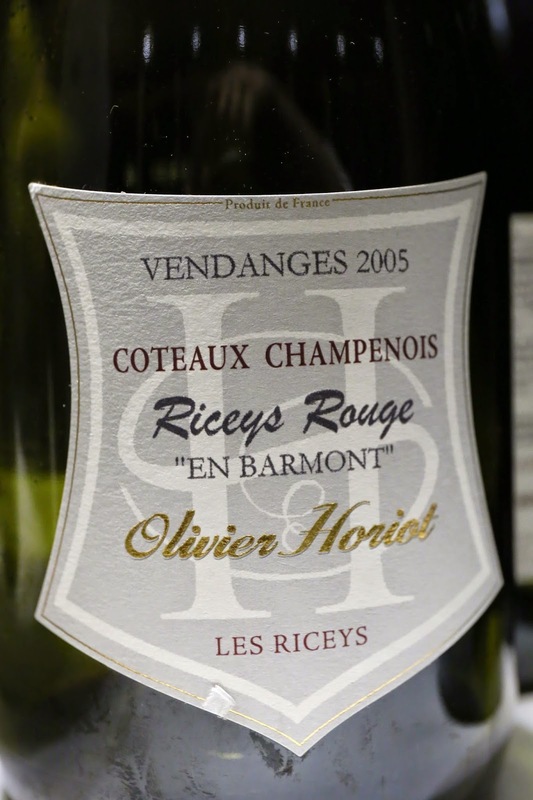 2005 Olivier Horiot Coteaux Champenois Riceys Rouge en Barmont - lots of sweet fruit, a bit of forest pine, a little minty with red currants. Not bad for what it is. Total production of 1,024 bottles and 25 magnums. 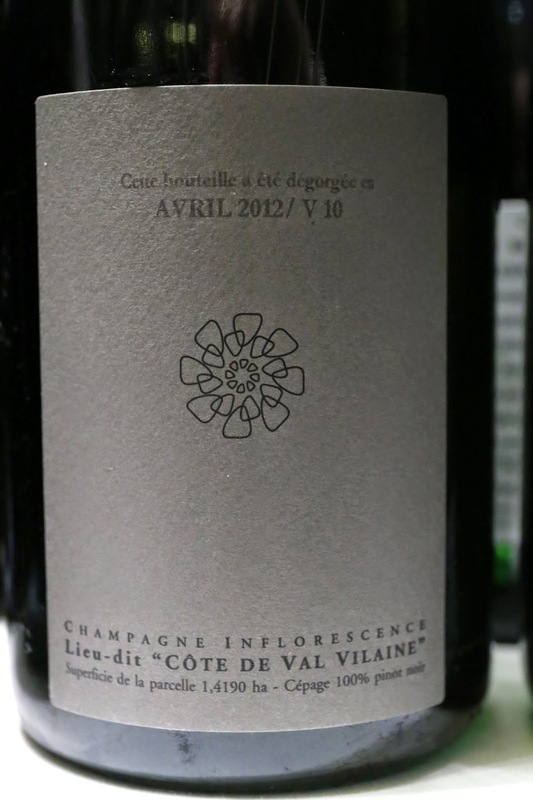 2010 Cedric Bouchard Inflorescence Côte de Val Villaine - a really good-value blanc de noirs from one of my favorite producers. 2009 Ulysse Collin Les Maillons Extra Brut, dégorgée 7 mars 2013 - so interesting... lemon citrus, and actually a lot like a white Burgundy. Nose seemed aged but not really very caramelized, with high acidity, some toasty corn and very rich. A beautiful blanc de noirs, and definitely the wine of the evening for me. Laherte Frères Les 7 Extra Brut - made from all 7 permitted varietals. Oaky, flinty, mineral, a little ripe but acidity is still high. Also pretty yeasty. Françoise Bedel Entre Ciel et Terre Brut - ripe and caramelized, with sugarcane and water chestnut water (竹蔗茅根), while also savory and mineral on the nose. 2003 Françoise Bedel L'Âme de la Terre Extra Brut - even more caramel and sugar on the nose, more prominent sugarcane and water chestnut water (竹蔗茅根), plus a little metallic copper. 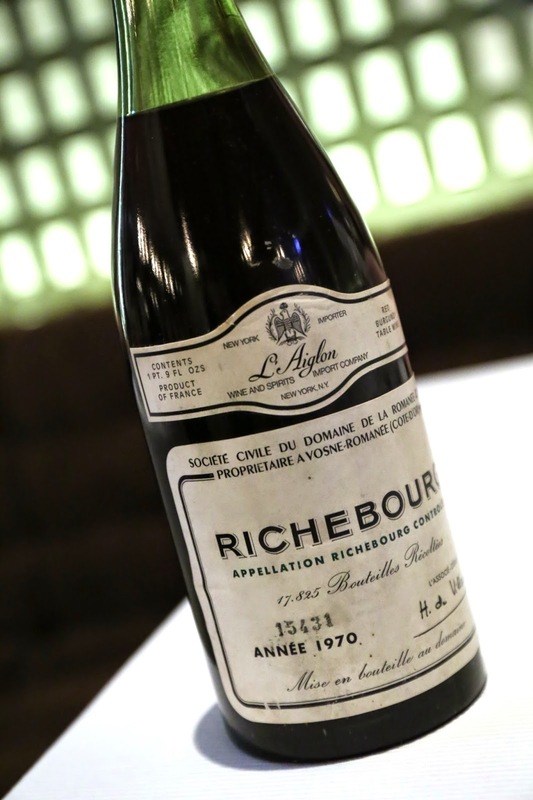 1970 DRC Richebourg - I had low expectations of this bottle, given that the level was a little low at 4 c.m., but this was a pleasant surprise. Nose was a little floral at first, with a little leather and animal notes, and definitely a little acidity on the palate. Opened up more after 30 minutes, showing very lovely fruit and a little more sweetness. Very elegant and lovely. Dinner at Red Lantern in Silks Place Yilan. 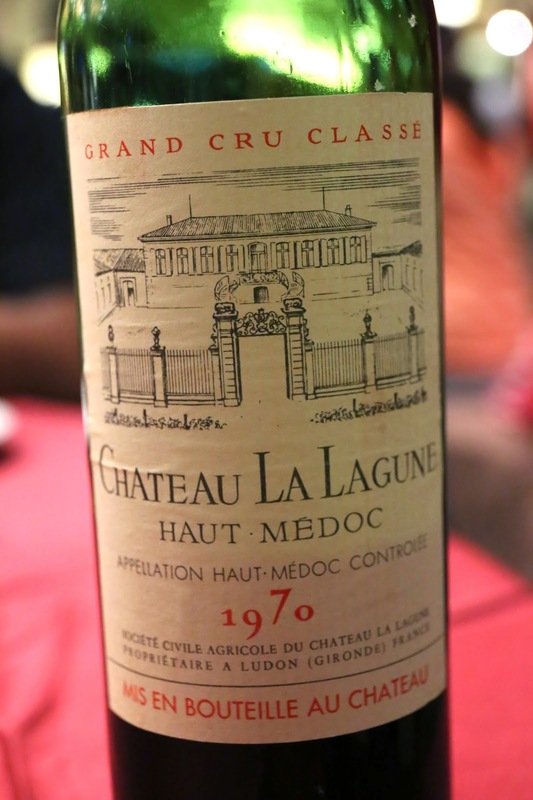 1970 La Lagune, ex-château - earthy, green grass, blackcurrant, smoky, fragrant, cedar and tobacco notes. Drinking pretty nicely. Dinner at wd~50 in New York City. 2011 Joh. 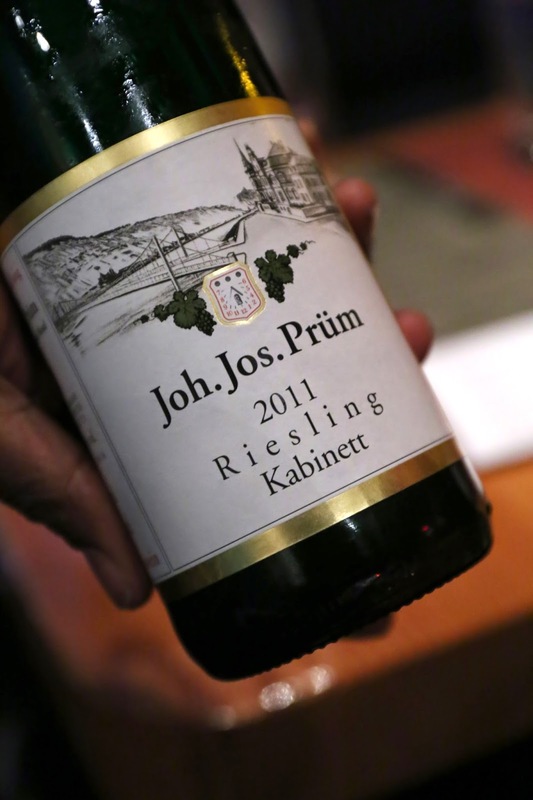 Jos Prüm Riesling Kabinett - very refreshing on a warm summer evening. 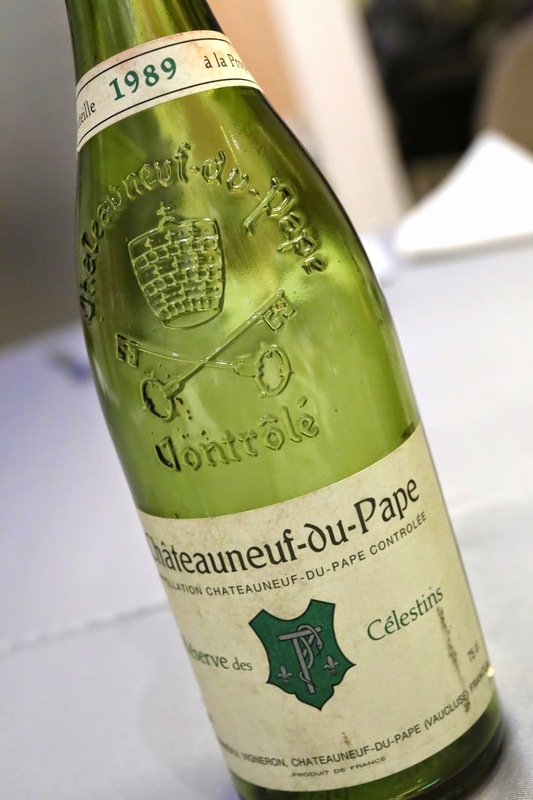 Not too sweet, and showed the classic notes of flint, white flowers and a hint of petrol. R.H. Coutier Brut - nice bubbles and mousse, very ripe, nice and full-bodied, woody and oaky. 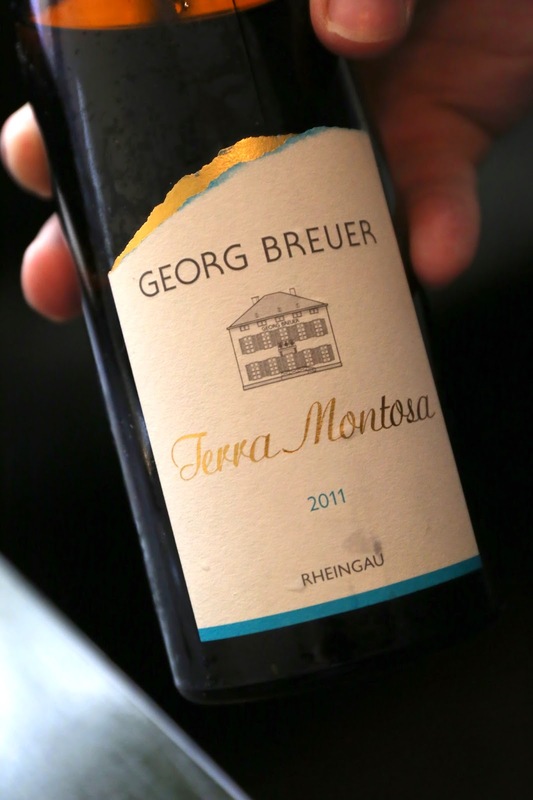 2011 Georg Breuer Terra Montosa Riesling - very heavy petrol in the nose, smoky, white flowers, steely and flinty, with plasticky notes which were rounder and richer than most other German Rieslings. This was actually slightly sweet and ripe on the palate, not bone dry as Andrew the sommelier described. 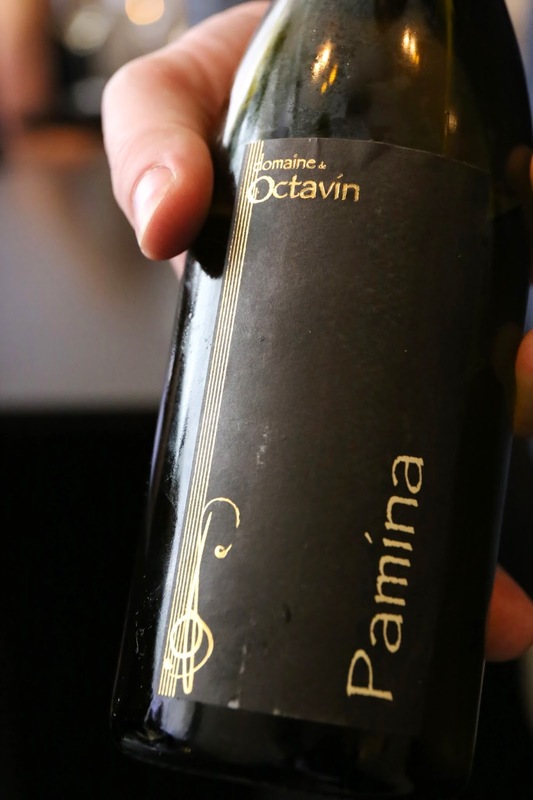 2010 Domaine de l'Octavin Pamina - this Chardonnay from Arbois matched the rice crispies really well, with its very heavy toasty corn nose that was raw, pungent, and just a little overpowering. From the looks of it this was probably not filtered nor fined. 2011 Domaine du Viking Vouvray Tendre - aged in chestnut casks. Definitely fragrant nose with an off-dry palate. 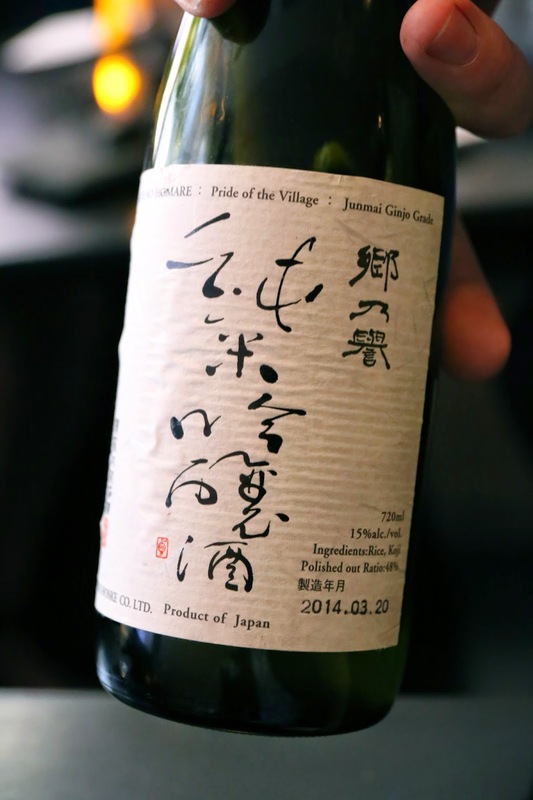 Sato no Homare Junmai Ginjoshu "Pride of the Village" (郷の誉 純米吟醸酒) - an unfiltered sake from one of my favorite breweries, with a seimaibuai (精米歩合) of 48%. This was pretty sweet, rich in body, with fermented rice, pineapple and banana notes. 2013 A Tribute to Grace Rose of Grenache - My Beloved Cousin would call this lolly water, and I'd have to agree with her. Besides the obvious sweetness, my first thought was "bubblegum"... and Mo' Unni also thought it was just so Bubblicious... Also a little banana, and slightly ripe on the palate. 2012 Jamsheed Beechworth Shiraz - I was eager to try out this wine, which Andrew the sommelier had described as an "Australian Syrah" instead of a Shiraz. Well, he was right. While it had plenty of ripeness, it was cool fruit instead of the usual fruit bomb, along with lots of potpourri, pine needles and mint. We both agreed that it reminded us of a Northern Rhône like Saint-Joseph. Delicious. 2009 Marion Valpolicella Superiore - forest and potpourri notes. 2013 Jorge Ordonez No. 2 Victoria - definitely a lot like Muscat de Beaumes-de-Venise, although the lychee was a little dialed down. Sweetness was there, but slightly pungent with perhaps some sulfur. Still young and raw. 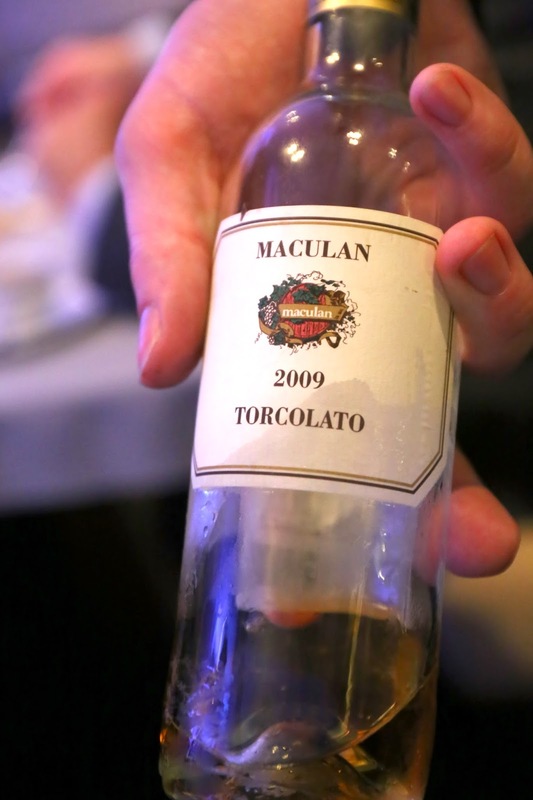 2009 Maculan Torcolato - nutty with orange blossom, peach and blood orange notes. 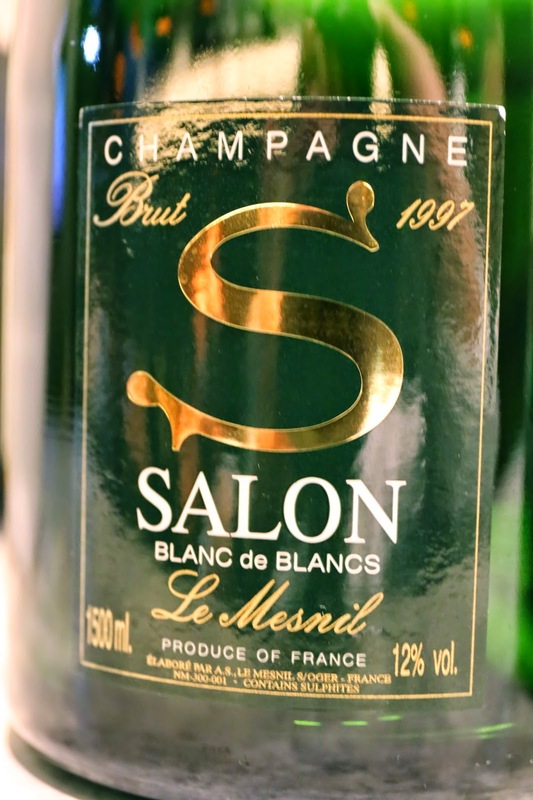 1997 Salon en magnum - nice and big nose of heavy toast, caramelized, ripe on the palate but acidic on the finish. 2000 Laville Haut-Brion en magnum - a little toasty, flinty, a little nutty with lemon citrus. 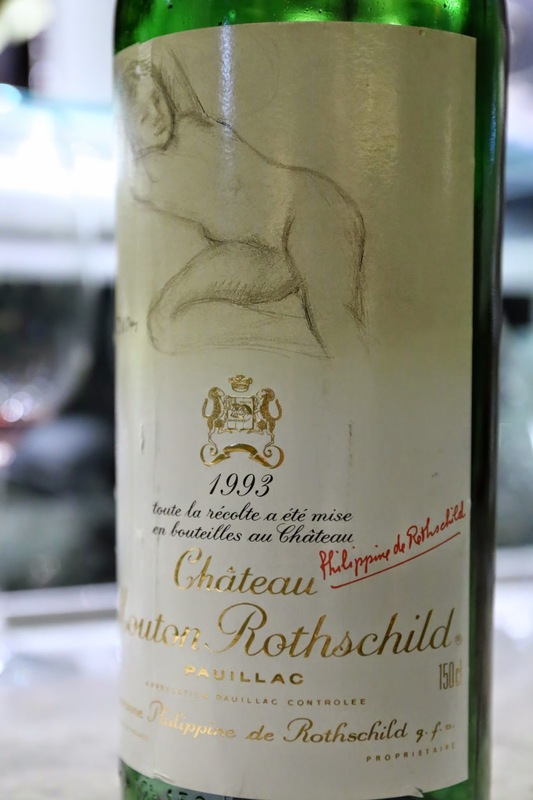 1993 Mouton-Rothschild en magnum - savory like soy sauce, smoky and cigar notes. Classic Pauillac. 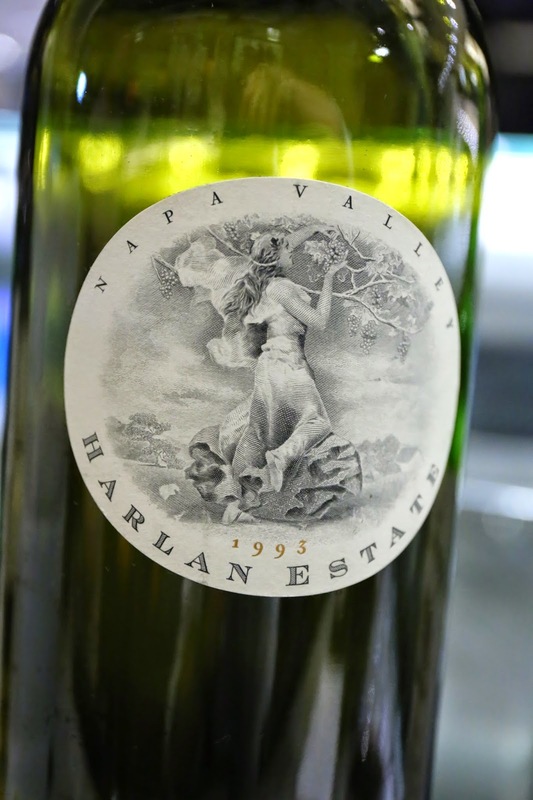 1993 Harlan Estate from magnum - smoky, mineral, ripe on the nose. A little sweet on the palate. Very nice. 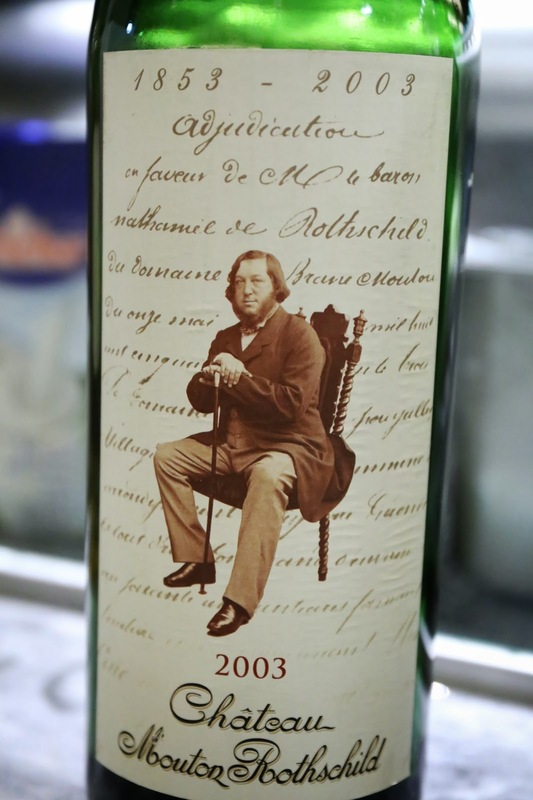 2003 Mouton-Rothschild en magnum - a little blood, mineral, iron rust on the nose. Sweet on the palate, still concentrated and tannic. 1990 Lafite-Rothschild en magnum - fragrant nose with minty, smoky and a little lead pencil notes. Very classic and nice. 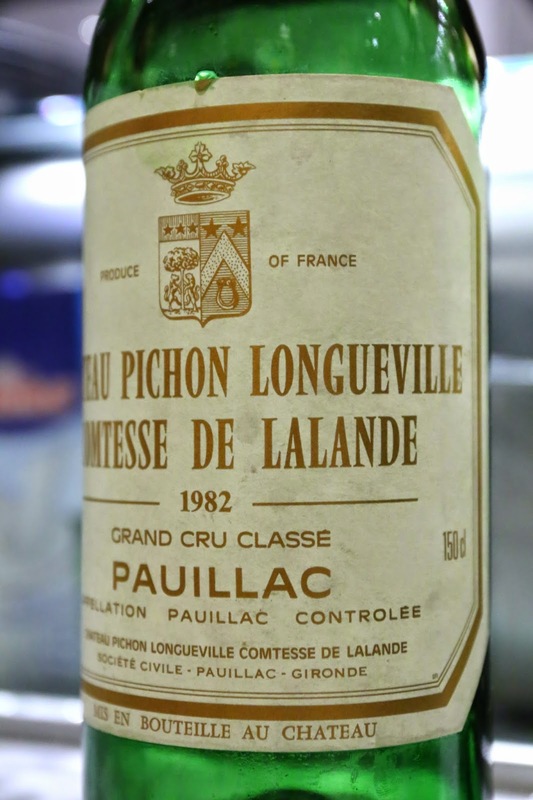 1982 Pichon-Lalande en magnum - smoky, green pepper and dried herb notes. Drinking nicely. Dinner at Mandarin Grill + Bar. 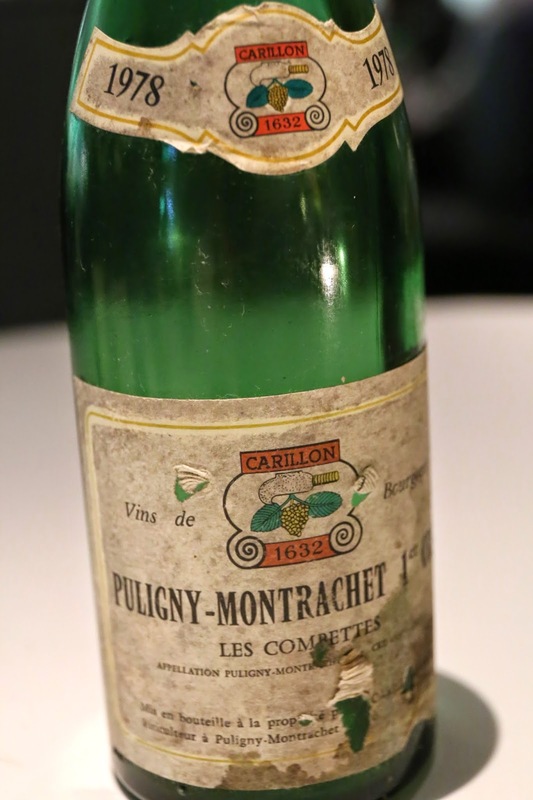 1978 Louis Carillon Puligny-Montrachet 1er Cru Les Combettes - beautiful amber color, definitely showing age, with toasty and bready, yeasty notes, nutty, coffee and a little sweet Chinese licorice (甘草). 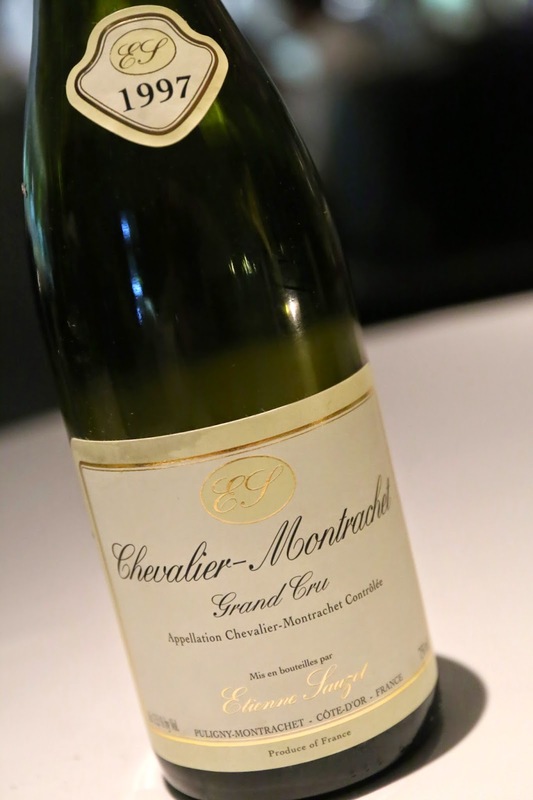 1997 Sauzet Chevalier-Montrachet - sweeter, pretty ripe, still a little alcoholic. More minerality here. 1999 Gantenbein Pinot Noir - kinda big, ripe, with a little leather. Still young and relatively closed. 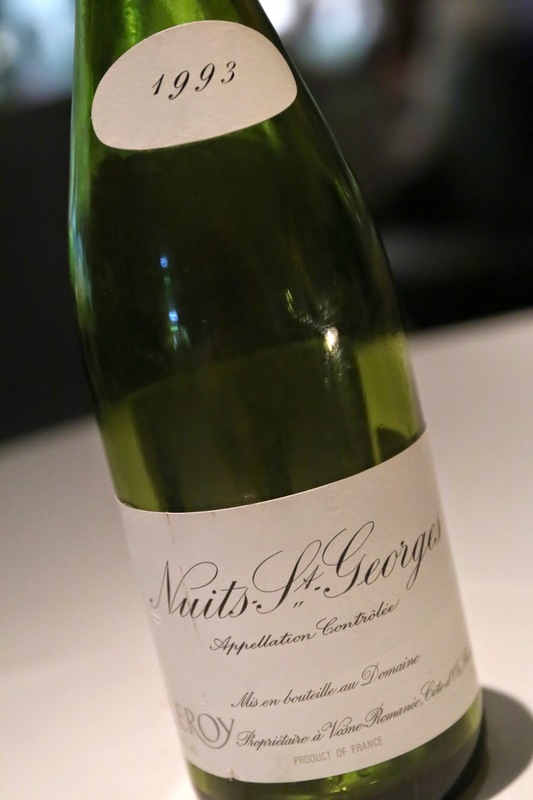 1993 Domaine Leroy Nuits-Saint-Georges - beautiful and floral, with leather, black cherries and passion fruit. 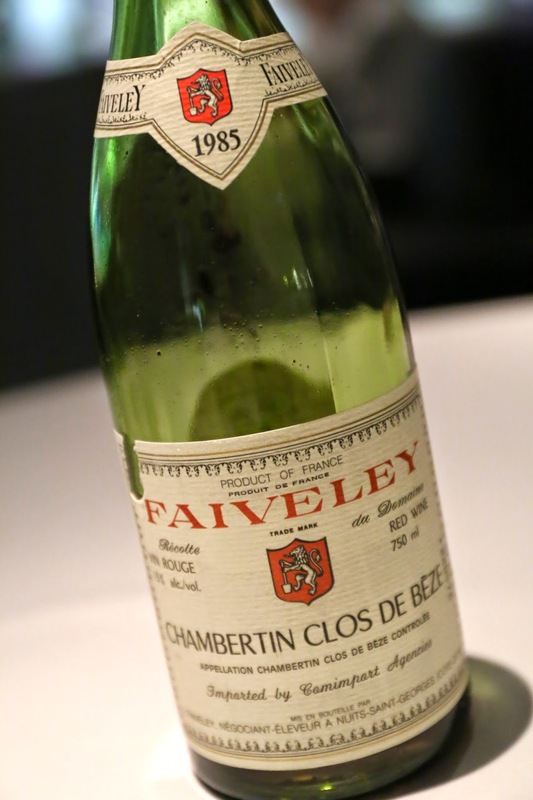 1985 Faiveley Chambertin Clos de Beze - beautiful, floral and fragrant. 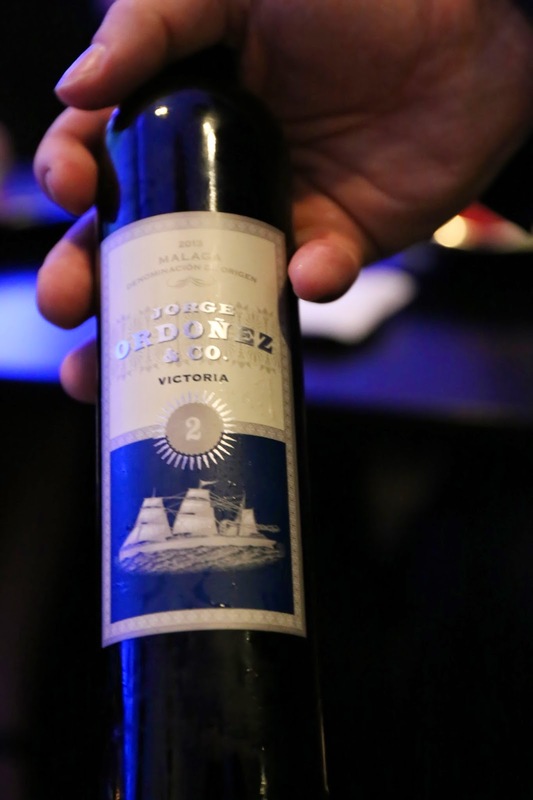 A hint of savory notes with wonderfully sweet fruit. Very clean, nice and ripe. An elegant wine. 1990 Jaboulet La Chapelle - minty, ripe fruit and smoky notes. Relatively closed. 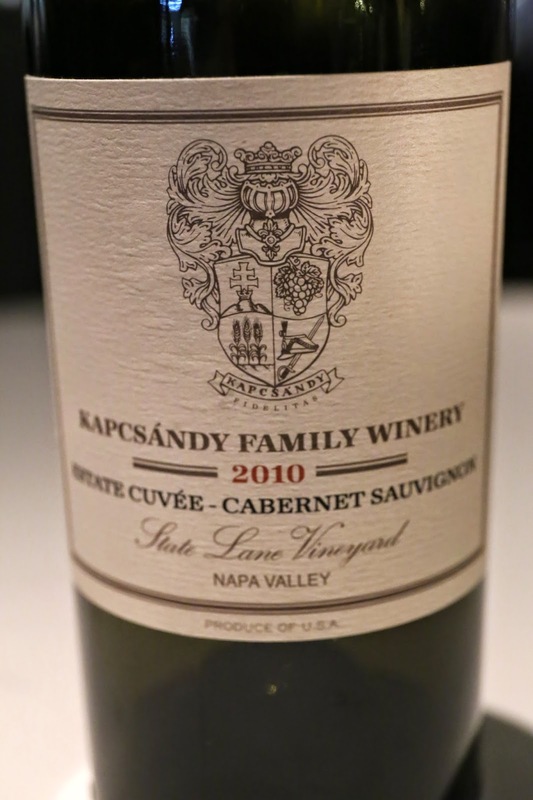 2010 Kapcsándy Estate Cuvée Cabernet Sauvignon - lots of coconut butter, minty, pine needle, ripe and sweet.